Most guidelines recommend annual screening for diabetic retinopathy (DR) but limited resources and the slow progression of DR suggest that longer recall intervals should be considered if patients have no detectable lesions. This study aimed to identify the cumulative incidence and time of development of referable DR in patients with no DR at baseline, classified by clinical characteristics. Analysis was performed of data collected prospectively over 20 years in a screening clinic based in a teaching hospital according to a consensus protocol. The cumulative incidence, time of development and relative risk of developing referable retinopathy over 6 years following a negative screening for DR were calculated in 4,320 patients, stratified according to age at onset of diabetes (<30 or ≥30 years), being on insulin treatment at the time of screening and known duration of diabetes (<10 or ≥10 years). The 6 year cumulative incidence of referable retinopathy was 10.5% (95% CI 9.4, 11.8). Retinopathy progressed within 3 years to referable severity in 6.9% (95% CI 4.3, 11.0) of patients with age at onset ≥30 years, who were on insulin treatment and had a known disease duration of 10 years or longer. The other patients, especially those with age at onset <30 years, on insulin and <10 years duration, progressed more slowly. Screening can be repeated safely at 2 year intervals in any patient without retinopathy. Longer intervals may be practicable, provided all efforts are made to ensure adherence to standards in procedures and to trace and recall non-attenders. Unless treated before the appearance of symptoms, diabetic retinopathy (DR) may lead to severe visual loss . Consequently, recommendations to screen for asymptomatic sight-threatening DR have been issued in many countries [2, 3, 4, 5]. Most guidelines recommend that retinal examination is performed annually in people with diabetes [2, 3] but resources for repeated yearly checks are in short supply and the progression of DR may be slow enough to consider longer intervals when patients have no detectable lesions. A cohort study in Liverpool (UK) suggested that patients with type 2 diabetes and no retinopathy may be safely seen every 3–5 years  and an econometric simulation based upon US data concluded that screening may not be cost-effective unless performed every 2–3 years in patients with type 2 diabetes without DR and at low risk of developing it . Another study suggested additionally that adolescents with type 1 diabetes may be screened every other year . More recent studies support the notion that an interval of 2–3 years between screenings is safe in patients without retinopathy (9–12). This paper reports on an analysis of screening data collected over 20 years in a diabetes clinic based in a teaching hospital according to the European Working Party protocol to Screen for DR  and its implementation document, the Field Guide-Book . The European protocol had been validated by independent investigators [13, 14] and reported to reduce referrals to a low-vision clinic by one-third over 5 years . The specific aims of this analysis were to evaluate the cumulative incidence and time of development of referable DR in patients with negative screening and different clinical characteristics. The Diabetic Retinopathy Centre is a facility dedicated to screening for DR within the outpatient diabetes clinic of Turin main teaching hospital. It offers screening to patients from inside and outside the clinic. Since its members of staff include retinal specialists, it also functions as a tertiary referral centre, though patients with sight-threatening DR are normally seen by the specialists without going through a formal screening procedure. Data from 35,545 screening episodes (19,864 [55.88%] men and 15,861 [44.12%] women) performed in 12,074 patients (6,751 [55.91%] men and 5,323 [44.09%] women] between 1 January 1991 and 31 December 2010 were analysed. The individuals subjected to screening were almost totally of European descent, with a few patients of African, Asian or South American origin included in the latest years. Data were collected prospectively using a dedicated software, SEE (Save Eyes in Europe) (Elilan, Turin, Italy), which had been specifically designed to record episodes according to the European screening protocol . All study participants gave their informed consent and the investigations were carried out in accordance with the Declaration of Helsinki. Until May 2000 screening was carried out by direct and indirect ophthalmoscopy performed by diabetes specialists and colour photography on 35 mm slide film (Kodak Elite 200 ASA) using Kowa Pro-I and Kowa Pro-II funduscameras (2,237 patients, 5,328 episodes). From June 2000, patients were screened by non-mydriatic digital fundus photography (Canon NM45CR) and the images were processed by EyeCap software (Haag-Streit, Koeniz, Switzerland) (9,837 patients, 30,217 episodes). Photographs were taken by trained medical or nursing personnel. Grading was performed by diabetes specialists, after specific training, according to the European Working Party recommendations [4, 5]. Patients were assessed at retinal photography and formally graded later. Feedback on referrals was by direct discussion with the consultant ophthalmologists working in the DR Centre. Doubtful cases were discussed based on pictures alone and patients not requiring referrals were re-graded accordingly. Patients with mild non-proliferative retinopathy not requiring referral (microaneurysms only, isolated larger haemorrhages and/or isolated cotton-wool spots), equivalent to an Early Treatment of Diabetic Retinopathy Study (ETDRS) level ≤35 , were given re-screening appointments. Those with moderate non-proliferative retinopathy requiring referral (association of the above lesions in higher number and/or within one disc diameter of the centre of the fovea) or worse (pre-proliferative, proliferative, photocoagulated DR, advanced diabetic eye disease with or without macular involvement), equivalent to ETDRS level >35 , were referred to an ophthalmologist for further assessment and treatment, as required. For patient classification, DR severity in the worst eye was considered. Yearly follow-ups in the same patients were calculated as screening episodes within multiples of 12 ± 6 months after the first visit. Hence, follow-up screening episodes were considered to be at 1 year if they fell within 7–18 months of the first visit, 2 years if within 19–30 months, and so forth. Since no formal trial had been carried out to compare ophthalmoscopy + 35 mm photography vs non-mydriatic digital photography, the detection rates of DR using these two methods were assessed by two independent approaches: the prevalence of all gradings in patients consecutively screened for the first time 9 months before 22 May 2000 (n = 544) was compared with that of all patients first screened over the 9 months after changeover (n = 622), assuming that there was no change in the prevalence grades of DR over time. There was no difference in the distributions of DR (no DR: 321 [59.01%] vs 347 [55.79%]; mild DR: 78 [14.34%] vs 95 [15.27%]; referable DR: 134 [24.63%] vs 169 [27.17%]; non-gradable: 11 [2.02%] vs 11 (1.77%]) (p = 0.68, χ 2). The diagnoses of 317 patients who were screened using both methods, first within 9 months before May 2000 and then re-screened over the 9 months following changeover, were compared, the assumption being that very little progression of DR would occur in this group. There was a minor trend to more DR over the second examination but no significant difference was observed when comparing the distributions of DR detected by the two methods in the same population (p = 0.14) (χ 2). κ-statistics showed an agreement index κ = 0.75 (p < 0.001) when comparing absence of DR (n = 150 [49.02%] before and 141 [46.08%] after changeover) vs any DR (n = 156 [50.98%] and 165 [53.92%], respectively], and a weighted κ = 0.81 (p < 0.001) when comparing absence of DR vs mild (n = 68 [22.2%] before and 71 [23.2%] after changeover) vs any other more severe (referral-requiring) DR (n = 88 [28.76%] and 94 [30.72%], respectively). Pictures of four (1.26%) and, respectively, nine (2.84%) patients were ungradeable before and after changeover. Digital photographs of macular and nasal fields were assessed for quality and judged to be ‘good’, ‘sufficient’ (for grading if not worse than Standard 14 of the ETDRS protocol ) or ‘insufficient’. Photographic fields were judged to be ‘centred’, ‘partially centred’ (if the disc was within one disc diameter of the desired position) or ‘non-centred’. Out of 11,359 eyes thus assessed, 80.2% macular fields and 77.9% nasal fields were of good quality, 16.7% and 19.4% were sufficient for grading, respectively, and only 3.1% and 2.7% were unreadable. More than 99% photographic fields were at least partially centred. The quality of the images was influenced by lens opacities and pharmacological mydriasis, though not by centring (data not shown). At the time of first screening, the patients were divided into younger-onset (YO), if age at diagnosis of diabetes was <30 years, and older-onset (OO) if it was ≥30 years. Patients were further stratified into insulin-treated (IT), either alone or with oral agents, and non-insulin-treated (NIT) (i.e. by diet only or diet and tablets). Data from all patients so stratified, who were screened at baseline and at least once within the following 6 years, were analysed. In total, follow-up was available for 4,320 patients with no detectable DR at first visit. Of these, 2,934 (67.9%) were OO-NIT (1,712 men [58.4%], age 62.1 ± 9.7 years, known duration of diabetes 5.9 ± 6.6 years), 689 (16%) were OO-IT (373 men [54.1%], age 58.4 ± 12.9 years, duration 8.5 ± 8.1 years), 671 (15.5%) were YO-IT (347 men [51.7%], age 22.2 ± 11.7 years, duration 8.8 ± 8.1 years) and 26 (0.6%) were YO-NIT (13 men [50.0%], age 39.0 ± 15.4 years, duration 16.1 ± 13.1 years). Because of limited numbers, the YO-NIT group was not further considered for this work. The other three groups were further subdivided into patients with <10 or ≥10 years known duration of diabetes. In total, 2,247 OO-NIT<10 years, 687 OO-NIT≥10 years, 426 OO-IT<10 years, 263 OO-IT≥10 years, 432 YO-IT<10 years and 239 YO-IT ≥10 years without retinopathy at their initial screening were included. Clinical and demographic differences at baseline were assessed with the χ 2 test or ANOVA, as appropriate. Cumulative incidence rates of DR were calculated using the product limit method, with SE according to Greenwood and 95% CI computed as ±1.96 × SE. Patients who had not developed DR contributed to person-years of follow-up until their last screening visit. Difference among subgroups was tested using the logrank or Wilcoxon (Breslow) statistic. An interval-censoring Weibull regression model was used to estimate HRs and corresponding 95% CIs according to the potential prognostic variables (subgroup and known duration of diabetes). Due to a partial violation of Cox’s model basic assumption, we chose the Weibull model as it proved to be the best fit that used Akaike’s information criterion for comparison with other parametric models (Gompertz and exponential). Statistical significance level was set at 0.05. Statistical analyses were performed using STATA 12.1 (StataCorp, College Station, TX, USA). Over the 6 years following the first screening episode, the incidence rate of referable DR was higher among the OO-IT (2.74 cases per 100 person-years; 95% CI 2.23, 3.37) than the OO-NIT (1.64; 95% CI 1.45, 1.85) or the YO-IT (1.90; 95% CI 1.50, 2.41) patients. Table 1 shows the cumulative incidence of referable or worse DR over the 6 years following a first screening in which patients had no detectable retinopathy, divided by subgroups. Being on insulin treatment and having been diagnosed 10 years earlier or more were both associated with higher incidence of referable DR (p < 0.001). The average number of months needed for 5% of the patients in the different subgroups to develop referable retinopathy was 56 (95% CI 49, 64) for OO-NIT with <10 years known duration, 33 (95% CI 23, 51) for OO-NIT with ≥10 years known duration, 41 (95% CI 24, 57) for OO-IT with <10 years known duration, 27 (95% CI 15, 38) for OO-IT ≥10 years known duration, 60 (95% CI 45, 79) for YO-IT <10 years duration and 39 (22, 51 95% CI) for YO-IT ≥10 years duration. None of the subgroups reached 5% cumulative incidence of referable retinopathy within 2 years of a negative screening, whereas the OO-NIT ≥10 years and OO-IT ≥10 years did so within 3 years. Consequently, the relative risk of developing referable retinopathy within 3 years of a first screening was calculated for all subgroups. Table 2 shows that, compared with the OO-NIT group with a duration of diabetes of <10 years, taken as reference, both the OO-NIT and OO-IT groups with ≥10 years known duration had more than twice the risk of developing referable retinopathy. In contrast, the YO-IT group with <10 years duration had a 72% reduced risk of developing referable retinopathy within the same time frame. To evaluate the potential for sight-threatening DR to develop in a real-life screening scenario, all records collected with tight adherence to the 1990 European Working Party recommendations were analysed to determine the cumulative incidence and risk of developing referable DR over the 6 years following a screening episode in which no DR had been detected. Patients without retinopathy at first screening appeared to carry a negligible risk of developing lesions requiring referral over the following year, but 2.1% developed referable lesions within 2 years, and 3.2% after 3 years. The 6-year cumulative incidence of referable or worse DR was 10.5%. In the UK Prospective Diabetes Study (UKPDS), 17.5% of patients with type 2 diabetes and no DR at first examination reached an ETDRS level of <35/35 or worse after 6 years . However, not all patients with this grading on the ETDRS scale would have been defined as requiring referral in our screening context, where they might simply be re-screened at shorter intervals. In addition, all UKPDS patients had newly diagnosed type 2 diabetes at baseline and 4-field 30° stereoscopic retinal photography was used. For reasons of costs and practicality, stereo retinography is not recommended for screening purposes and our photographic protocol is based upon the EURODIAB procedure, which had been previously validated and found to perform as well as the ETDRS in detecting both mild and more severe DR . The goal of screening is to identify eyes with sight-threatening DR before symptoms occur, so that photocoagulation or other treatments can be applied in a timely and appropriate manner . Data from Sweden  and Iceland  show that while very few people with type 1 diabetes progress to blindness if properly screened, patients with type 2 diabetes may still develop severe visual impairment, mostly due to macular disease . Both the ADA  and UK National Institute for Clinical Excellence , among others, recommend that all diabetic patients are screened yearly. The 1990 European Working Party had recommended the following: “Examine at diagnosis and at least two-yearly thereafter, at least annually if DR appears” [4, 5]. However, the desirability of frequent controls has to be balanced against the high patient throughput and limited facilities available in most clinics. A prospective study of 20,570 systematic screening episodes in Liverpool (UK) , suggested that patients with type 2 diabetes and no retinopathy could be re-screened every 5 years, and those with mild DR every year, to retain a 95% chance of remaining free from sight-threatening DR. However, those authors conceded that 3-year intervals may be more viable in real life. In that study, 3-field 50° photography and a somewhat different DR classification were used, and different variables were considered, but the statistical approach was similar to this study. The cumulative incidence of sight-threatening DR in individuals with no retinopathy at baseline after 5 years follow-up was 3.9%. Such figures are lower than those reported in this paper but the definition used in Liverpool for sight-threatening DR (six or more cotton-wool spots, venous changes, intraretinal microvascular abnormalities) was more severe than our definition of referable DR. The econometric simulation published by Vijan et al  considered intervals of 1–5 years in a sample model of patients older than 40 years, as defined by data from the Third National Health and Nutrition Examination Survey (NHANES-III)  population study and, for progression of retinopathy, from the UKPDS , Diabetic Retinopathy Study (DRS)  and ETDRS , and suggested that screening may not be cost-effective unless carried out every 2 or even 3 years in DR-free patients who are older and have fairly good metabolic control. However, some of the assumptions made in that study (e.g. the population base and screening performed by ophthalmologists) may not apply to the settings tested in Liverpool or Turin. More recently, Agardh et al  recommended 3-year screening intervals based on their case series in which only 1 out of 1,322 patients with type 2 diabetes, without DR at baseline, had developed a condition (macular oedema) requiring laser treatment within that time frame. 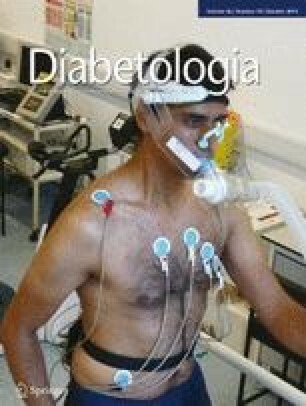 Their patients had an average known duration of type 2 diabetes of 6 years, were mostly treated by diet or oral agents and had good glycaemic control (HbA1c 6.4 ± 1.4%; 46.0 ± 15.3 mmol/mol ). Chalk et al  developed a simulation model based upon a National Health Service series in the UK and concluded that 2 years would be a safe re-screening interval. Thomas et al , in South Wales, analysed nearly 50,000 patients with no DR at first screening and at least one further screening within the following 4 years. Similarly to this paper, they subdivided patients with type 2 diabetes into those on insulin treatment or not and with less or more than 10 years known duration of diabetes. Although reporting a higher cumulative incidence of referable retinopathy than in our population, they also concluded by suggesting that screening intervals be longer than 1 year, with a possible exception for patients on insulin treatment and with ≥10 years diabetes duration. The stages of DR defined as referable in their paper (pre-proliferative or worse) were more advanced than ours, which does not help to explain their higher incidence rate, and, similarly to us, they did not collect data on HbA1c or blood pressure. Finally, Aspelund et al  proposed a fully personalised algorithm, which, applied to a population of 5,199 Danish patients followed for 20 years, suggested a mean screening interval of 29 months, although that included patients with DR at baseline. The algorithm took into account not only duration and type of diabetes but also HbA1c, blood pressure and presence of retinopathy at previous visit, which commands shorter intervals. With reference to type 1 diabetes, one study suggested that 2-yearly screening may be safe also in DR-free adolescents with reasonable metabolic control, due to their rare progression to sight-threatening forms . Absence/presence of mild retinopathy in one or both eyes at two consecutive screening episodes has also been proposed as a risk indicator for development of sight-threatening DR in a UK-based population in which no stratification was made for type of diabetes or current treatment . The strengths of this study include its large real-world population base, the strictness with which data were prospectively collected and retinopathy consistently graded according to a validated consensus procedure developed more than 20 years ago and the long follow-up. Internal procedures assured uniformity of the grading process through training of the operators by, and their continuous feedback from, the senior diabetes and ophthalmic specialists (respectively, Massimo Porta and Marcello Montanaro), who worked in the programme for the entire 20-year period. Overall quality of retinal photographs was satisfactory, with low rates of ungradeable pictures, in which case the patients underwent full eye examination. Possible problems include selection bias, the switch-over of screening methods in 2000 without a formal assessment of their sensitivity and specificity and the lack of data on metabolic and blood pressure control in the patients screened. The Diabetic Retinopathy Centre offers screening to diabetic patients from inside and outside the hospital where it is based. Although it also functions as a tertiary referral centre, patients with sight-threatening DR do not undergo formal screening and would not have been included in this analysis of people without DR at first examination. The indirect comparisons described in Methods suggest that the two approaches yielded equivalent results and disprove the possibility that the combined use of ophthalmoscopy and 35 mm colour photography may lead to a higher detection rate of minimal, non-referable, retinopathy than digital photography alone . In addition, onset of referable DR was the outcome of this study, and the onset of lesions therein arguably poses even fewer problems in detection than in mild retinopathy. As also pointed out in the Liverpool study , data on HbA1c and blood pressure, although major determinants of DR progression, are not usually collected in a general screening setting like ours, which provides a service to different diabetes units and general practitioners. HbA1c results were from different laboratories, not standardised, and blood pressure could not be measured consistently, due to time, personnel and space constraints. In conclusion, although risk charts may result in a more personalised approach to screening intervals by taking multiple variables into account , knowledge of diabetes duration and type of glucose-lowering treatment is easily obtainable information that may suffice to provide useful guidance when planning re-screening appointments. In particular, this paper confirms that screening can be repeated safely at 2-year intervals in any patient with type 1 or 2 diabetes and no retinopathy, giving a 95% probability of remaining free of referable lesions according to the same standard adopted by previous reports [6, 12]. It also shows that DR progresses more rapidly to referable severity in patients with type 2 diabetes on insulin treatment and ≥10 years known disease duration. On the other hand, patients with a shorter duration of diabetes can potentially be seen even less frequently (e.g. at 3-year intervals), though prudence is always of the essence, considering that information on the duration of type 2 diabetes is often imprecise. In addition, one word of caution refers to the sensitivity of most screening programmes, which is around 80–90% , meaning that one out of five to ten diagnoses of no DR may be false negatives and the patients be given hazardously delayed appointments as a result. Finally, programming checks at excessively delayed intervals may convey to patients the impression that retinopathy is unimportant, and recalling people who do not attend appointments given 3 or more years earlier may be problematic. Since no standardised procedure exists for grading digital retinal photographs, this same exercise should be carried out in any other programme in which extended screening intervals are proposed and careful quality assurance needs to be carried out to ensure that there is no drift in grading or to prevent there being one or two poor graders. All efforts should be made to ensure the highest adherence to standards and to put effective methods in place for tracing and recalling patients who do not attend re-screening appointments. The Diabetic Retinopathy Centre was established thanks to funds provided by the Compagnia di San Paolo, Turin. No specific grant was applied for to develop the analysis described in this paper. MP planned the study, researched the data and wrote the manuscript. MMa collaborated in the acquisition, analysis and interpretation of the data and revised the manuscript. SS, EL, MT, ES, EC, AR, SC, MMo and LP collected and researched the data and revised the manuscript. PD and FC analysed the data, contributed to their interpretation and reviewed the manuscript. All authors approved the final version of the manuscript.